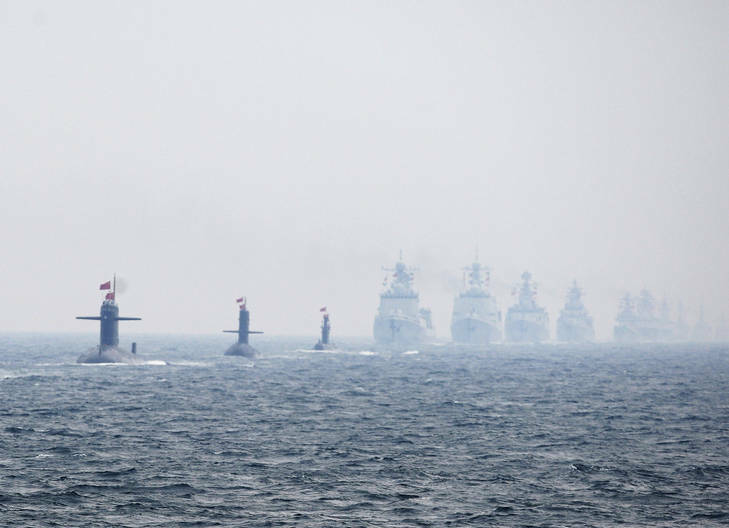 Is war brewing in the South China Sea? 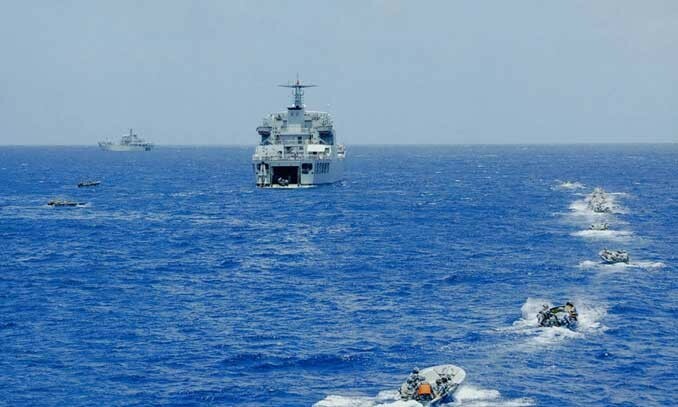 Territorial disputes are raging between China and Vietnam and also between China and the Philippines over a number of island groups in the South China Sea. A recent law passed by Vietnam has added fuel to the fire. The articles and videos below look into the disputes. Can Vietnam´s maritime law stand scrutiny in international court ? Muslim vying for same piece of land as Christian accuses him of speaking ill of Muhammad. FAISALABAD, Pakistan, June 29 (CDN) — A Muslim vying with a Christian for a parcel of land here has accused the elderly man of “blaspheming” Islam’s prophet Muhammad, which is punishable by death or life imprisonment, according to the Christian Lawyers’ Foundation (CLF). Impoverished father had received ultimatum from employer who loaned him money. Sania James, 33, was kidnapped April 5 by armed men who stormed her parent’s house in the small town of Rawat, just outside Rawalpindi, neighbors confirmed to Compass. The gunmen allegedly told her father that he would see his daughter again only if he paid off a loan of 250,000 rupees (US$2,930) plus 30 percent interest – a rate much higher than previously agreed upon. James said the armed men took her to farmer Mohammad Shahbaz Ali and forced her to marry him. “I have been tortured, forced to convert and forcefully married,” said James, who escaped earlier this month. She refused to convert to Islam and was continuously tortured, James said without elaborating. Shahbaz Ali reacted angrily when asked about the alleged incidents. “I refuse to say anything,” he told Compass. Neighbors who said they watched the kidnapping said they were unable to intervene. The kidnapping came five years after the woman’s father, James Ayub, allegedly took the loan from Shahbaz Ali, his long-time employer, to pay for his oldest daughter’s wedding. Ayub, who worked at Shahbaz Ali’s farm for two decades, was initially told that the interest rate on the loan would be 15 percent, but the rate was later doubled, family members said. Shahbaz Ali allegedly told Ayub in February that his family would be attacked unless he paid off the loan within two months. In a bid to raise the money, Sania James said she had begun to work on the farm along with her elderly, impoverished father. James said that her father was “thrown out of the farm,” and that she was subsequently kidnapped. Police officials reportedly said they were unable to halt the alleged kidnapping, saying Shahbaz Ali was a very influential man. “I am shocked that a daughter of a poor man has been kidnapped, and the law can’t do anything,” Pastor Samson said. The kidnapping was not an isolated incident, according to rights activists. They have expressed concerns that Christian women and girls have been kidnapped across Pakistan, a predominantly Muslim nation, often amid disputes over land and money. Advocacy organizations Life for All and Peace Pakistan have condemned the incident. Osman Imin freed after two years; concerns remain over incarcerated Alimjan Yimit. LOS ANGELES, November 24 (CDN) — A Uyghur Christian in China’s troubled Xinjiang region was released last week after serving two years in a labor camp for alleged “illegal proselytizing” and “leaking state secrets,” according to Compass sources. House church leader Osman Imin (Wusiman Yaming in Chinese) was freed on Wednesday (Nov. 18), sources said. Authorities had called for a 10-15 year prison sentence for Osman but significantly reduced the term following international media attention. An outspoken leader of the Uyghur church in the northwestern region of China, Osman was first arrested in 2004 and kept at a detention center in Hotan, southern Xinjiang. Local sources said his arrest was almost certainly related to his church work. Authorities denied him access to a lawyer, and in June 2008 a court rejected his appeal without explanation. Authorities eventually moved him to the labor camp outside Kashgar. While in prison Osman was forced to work 12 to 15 hours a day, and his health quickly deteriorated. He was reportedly suffering malnutrition throughout his confinement. Osman and his wife Nurgul have two young daughters. Still in arbitrary detention in the region is another Uyghur Christian, Alimjan Yimit (Alimujiang Yimiti in Chinese). Officials initially closed the foreign-owned business Alimjan worked for in September 2007 and accused him of using it as a cover for “preaching Christianity.” He was then detained in January 2008 on charges of endangering state security and was formally arrested on Feb. 20, 2008 on charges of “inciting secession” and leaking state secrets. Court authorities have returned Alimjan’s case to state prosecutors, citing lack of evidence for charges of “leaking state secrets” and “inciting secession.” Family, friends and work colleagues have insisted that Alimjan is a loyal citizen with no access to state secrets, and that his arrest was due largely to his Christian faith and association with foreign Christians. In Xinjiang’s politically charged environment, Alimjan’s family and friends fear he could face execution if he were wrongly linked with alleged Uyghur separatists. As part of authorities’ apparent effort to clamp down on Christianity, they have disbarred several lawyers involved in the defense of Uyghur Christians, including Alimjan’s attorney, Li Dunyong. He was effectively disbarred at the end of May when Chinese authorities turned down an annual application to renew his law license. Authorities failed to renew licenses for at least 15 other lawyers who had defended civil rights cases, religious and ethnic minorities and political dissidents, according to watch group Human Rights in China.